The “Summer of ’42” was a great movie, and this summer marks 42 for Capt’n Franks. When we first started in Kitty Hawk in the summer of 1975, old Orville or Wilbur could have walked over the dunes, and it would have looked essentially the same as it did in 1903. Things have changed a bit in those 41 years (to say the least), but a few things have remained the same. At Capt’n Franks, the family, the delicious food, and the service experience have remained. 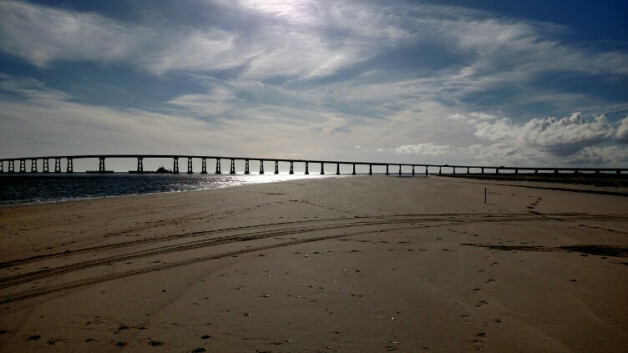 As fall descends on the Outer Banks, a wonderful experience awaits visitors and locals alike. A relaxed and less crowded version of the summer is ushered in. Warm waters, better fishing, and grateful smiles will greet you. Come see us when you visit. You will be glad you did, and so will we. We are looking forward to serving you. Our Fall and Winter hours are Monday thru Saturday 10:30 am until 3:00 pm.